Weaving on a Rigid Heddle Loom is fun and easy. The looms are small and portable and your weaving can be as simple or as complex as you like. This class is for those new to weaving or established weavers looking for a way to make quick projects. 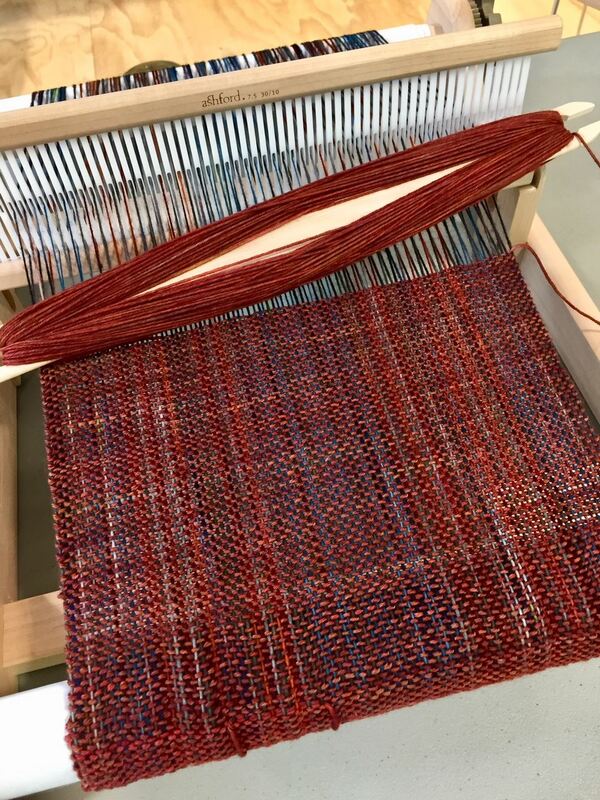 Class participants will learn how to direct warp the loom, how to do simple balanced weaving, how to identify and fix simple mistakes, and how to remove the finished project from the loom. Rigid Heddle Looms are perfect for weaving with hand-knitting yarns. Participants will bring a variety of their leftover yarns that will be used to make a scarf that they will finish by the end of the class and take home with them. For the weft: Students should also bring 220+ yds of one DK/Worsted weight yarn in a solid or semi solid color for weft. The majority of yarns should be multi-ply yarns and have some wool content, and have some elasticity.